DON’T JUST BAKE WITH BAKING SODA! | What's Green with Betsy?!? DON’T JUST BAKE WITH BAKING SODA! I used to say to my kids, if you are ever stranded on a deserted island, make sure you have baking soda. Baking soda, or sodium bicarbonate, is a natural salt essential to the functioning of the human body. In addition to its primary use as a leavening agent in baking, it can be used to heal, clean and polish just about everything. 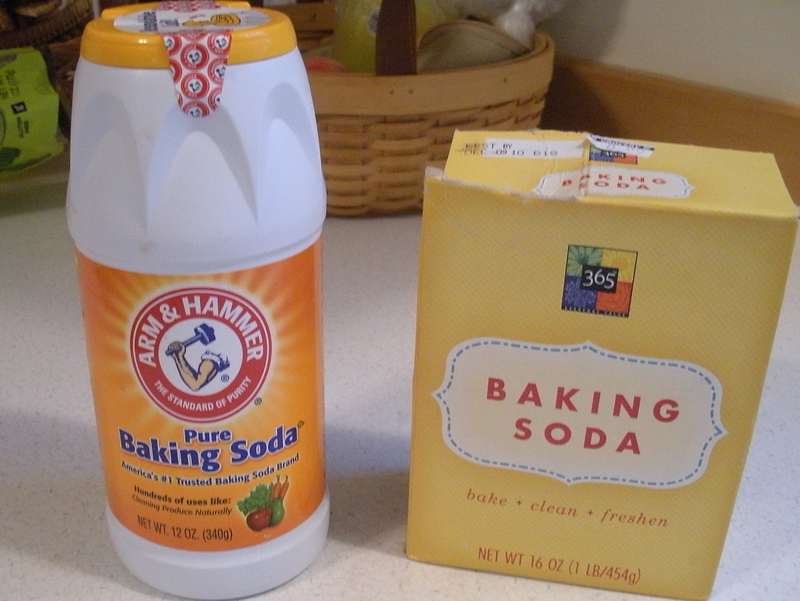 Baking soda is simple and cheap and over the years people have discovered some ingenious uses for it. It is used in animal feeds, fire extinguishers, textile processing and more. In addition to its common use as a deodorizer for refrigerator smells, baking soda can be used in numerous ways for personal care. For example, as a natural tooth polish, athlete’s foot treatment, burn soother, deodorant, earwax softener, or foot soak. It can be used to treat bee stings and insect bites or as an antacid. There are environmental and health concerns about toxic chemicals in cleaning supplies. Baking soda’s versatility, safety and effectiveness have led to using it as a cleaning alternative. Its gentle abrasion makes it perfect for cleaning stained kitchen sinks and mildewed shower tiles. Baking soda’s effervescence and detergency clean spills on rugs and deodorize pet bedding. Try it for dirt and grime on the legs of kitchen tables and chairs. Coffee and tea stains on your china are easily removed with baking soda. So are counter and tabletop stains. Baking soda has been around since the 1800’s. It is tried and true. Don’t just use it for baking. Check out Peter A. Ciullo’s book called Baking Soda Bonanza, which lists hundreds of ways to use baking soda, or go on line for ideas and recipes. It’s safe, effective and cheap. Information compiled from Baking Soda Bonanza by Peter A. Ciullo. lots of good information on that post, betsy!!!!! !